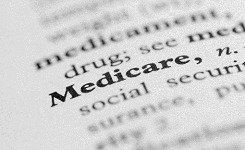 The failure to formally link Medicare beneficiaries to Accountable Care Organizations (ACOs) threatens to undermine efforts to improve care and control costs, according to an invited commentary by economist Paul B. Ginsburg, Ph.D., of the Leonard D. Schaeffer Center for Health Policy & Economics, University of Southern California, in the current edition of JAMA Internal Medicine. “Under current regulations, beneficiaries do not choose an ACO. Instead, they are ‘attributed’ to an ACO retrospectively…So ACOs responsible for the cost and quality of care for a population of beneficiaries do not know in advance who those beneficiaries are, and the beneficiaries do not know they are in an ACO,” the article states. In the commentary funded by the nonpartisan, nonprofit National Institute for Health Care Reform (NIHCR), Ginsburg points to a new JAMA Internal Medicine study (McWilliams, et al.) that found only about two-thirds of 525,000 beneficiaries attributed to 145 ACOs over two years were consistently assigned to the same ACO in both years. Likewise, the McWilliams study found that about 9 percent of beneficiaries’ office visits to primary care physicians and 67 percent of office visits to specialists occurred outside the assigned ACO. This so-called leakage underscores the “seriousness of failing to link Medicare beneficiaries to ACOs,” according to Ginsburg, the Norman Topping Chair in Medicine and Public Policy, Sol Price School of Public Policy and Schaeffer Center for Health Policy & Economics, USC, and former president of the Center for Studying Health System Change. “Only policy makers wary of touching the so-called third rail of American politics—changing Medicare in a way that limits the ability of beneficiaries to obtain care in whatever manner they choose, fragmented or otherwise—would devise such a scheme,” Ginsburg writes. “By creating a formal and mutually acknowledged relationship between ACOs and beneficiaries, health care provider organizations that make the investments needed to coordinate care, manage chronic disease, and manage population health would be more likely to succeed,” the article concludes.